Taking Care Of Your Undereye Area - The Ultimate Guide! When it comes to our face, we think the eyes say it all, to be specific, the under-eye says it all. Dark circles, bags and tired looking eyes are some of the things we don’t like to see on our face, and with age, these issues only get more pronounced. Also, spending on undereye creams and gels often is far from being pocket-friendly. Not to worry though, because here are 10 ways to care of your undereye area and make sure it looks bright and fresh at all times. And ladies, these won’t cost you a bomb. If you’ve had a few late nights in office and you see puffy bags under your eye, then you’ve got to use some cold compress. Wrap some ice cubes in a piece of muslin cloth and apply it to your eyes. You and your eyes will feel refreshed and there should be considerably less puffiness. 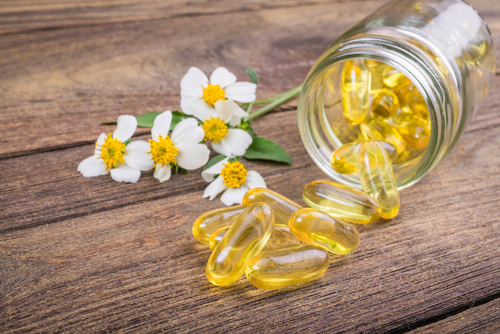 Vitamin E protects the skin against UV damage, and blocks free radicals that cause aging. Using Vitamin E oil around your eyes will reduce fine lines and keep that delicate skin protected. You can also use face creams enriched with Vitamin E for the same effect. It is recommended that an adult should get around 8 hours of sleep on a daily basis. It is really important to give your eyes and the muscles around it a break. A good night’s sleep and being well rested has a good effect on your overall look and dark circles. As mentioned before, the skin under the eye is very sensitive. Using your usual face cream could do more harm than good. The eye area needs products that are gentle and infused with nutrients. Using these products regularly will enough you have even toned and glowing skin around your eyes. Used and cooled tea bags placed on the eyes is the beauty secret that many celebrities swear by. It acts as an instant pick me up, ladies. The caffeine, antioxidants and tannins in the tea are said to energize the blood vessels under the skin to reduce puffiness and that tired look. Of the many home remedies, this one we find is the most commonly known to reduce the appearance of dark circles. Apply a cold compress to your eyes for 10 minutes. Then make a mixture with 1tsp almond oil, rose water and lime juice. Apply this onto your undereye area before sleeping every night. Doing this for a few weeks should yield results. 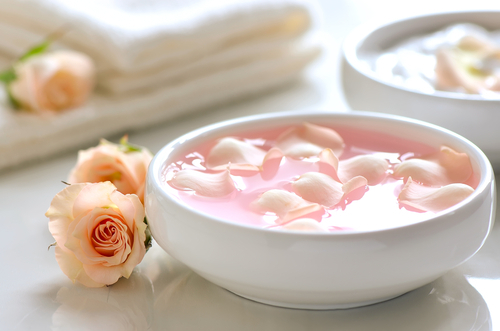 Rose water has anti-inflammatory properties that can help reduce the redness of irritated skin. Almond oil contains Vitamin E, potassium, proteins, zinc, and a number of other vitamins and minerals which also aid in nourishing that area. Finally, lime juice is known to lighten skin and reduce the appearance of blemishes. If you’ve come to the end of that honey jar, don’t throw it out. Use a clean cotton swab and swipe over any leftover honey. Apply it around the eyes for 10-15 minutes and then wash it off. Honey is said to help reduce to look of fine lines. It’s also a gentle moisturizer that doesn’t irritate the skin. Let’s face it, we strain our eyes constantly looking into our little devices. For an hour before bed or a couple of hours during the day, try to keep away. If you’ve got a day job, then try easy eye exercises like looking out a window and focusing on objects. Also, washing your face and applying some slices of cold cucumber can work wonders for tired eyes. The harmful UV rays of the sun affect our skin all the time, and our sensitive undereyes need all the help they can get. So, the bigger and darker your sunglasses are, the better. If in doubt, there is always makeup. Whether you’re using a creamy Bobbi Brown concealer or foundation, there is always a product to hide away any signs of exhaustion. 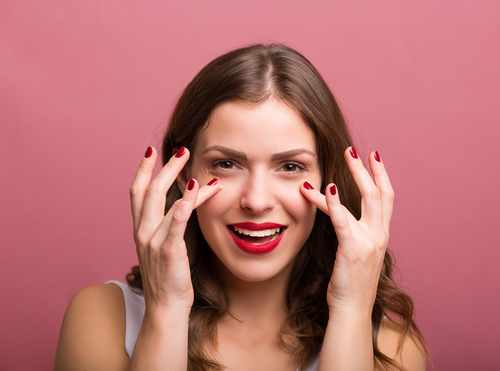 Using an eye cream before applying your makeup will ensure that your eyes are getting all the pampering they need, while making you look fresh and awake!